If you are looking for a killer dive watch at a great price, the Tudor Heritage Black Bay Bronze is one of the best choices on the market right now. It’s no secret that Tudor has really solidified itself as a high quality brand with some of their latest creations. The Bronze has a ton of cool features and throwbacks to earlier watch models. Make no mistake about it – the Black Bay Bronze is a vintage-inspired watch. Rather than simply re-hashing one of their old dive watches, Tudor took their most iconic traits and added a bit of risk with the bronze case (that we will get to shortly). 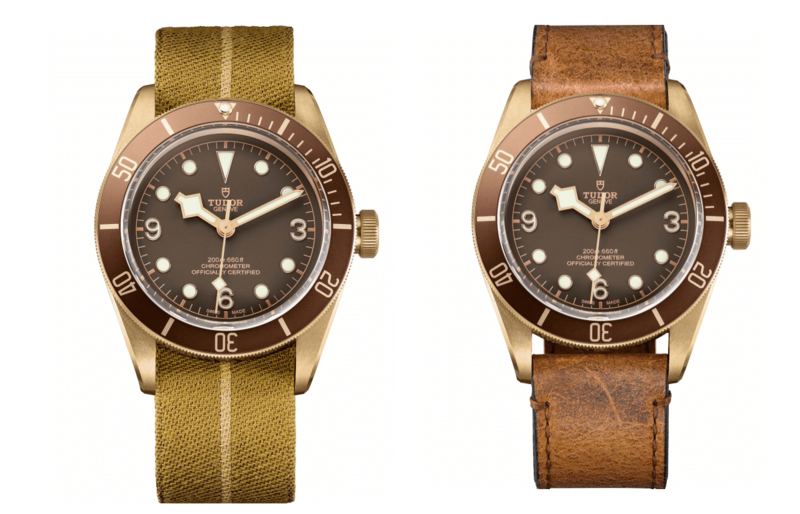 Just like they’ve done with previous Black Bay designs, Tudor has kept the big crown and clean lines for the Bronze. The watch also features the “Snowflake” hands, which were included on dive watches that Tudor gifted to the French Navy in the 1970’s. 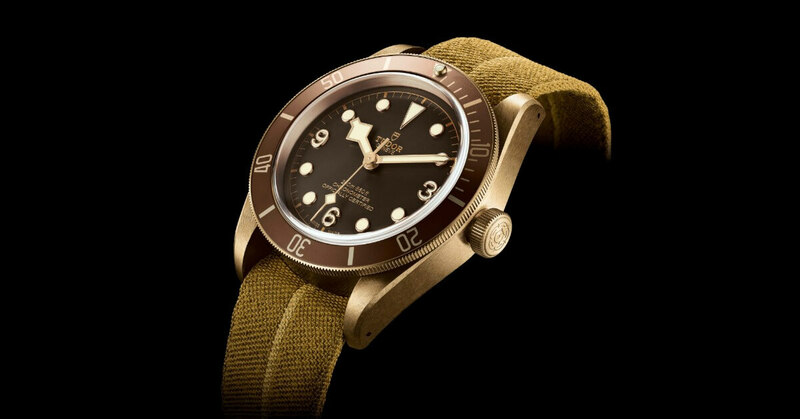 When Tudor unveiled the Black Bay Bronze at the 2016 Baselworld convention, the case created quite a bit of buzz. Brass is certainly an interesting metal choice for a dive watch, but it’s proven to be extremely popular so far. As a material, brass is obviously sturdy and fairly corrosion resistant. One of the best features (depending on how you look at it) is that the watch will develop a unique patina for every wearer! The use of bronze is actually a nod to its nautical applications. Boats have historically used bronze for props and decoration, and it is even used in hardhat diving. Tudor did a pretty stunning job capturing that feeling with this Black Bay. Another great move made by Tudor on the Bronze is the addition of the in-house Caliber MT5621 movement, which is new this year. Tudor traditionally has not used in-house movements, so this is a first for the brand. The movement has a 70 hour power reserve, and also makes use of a silicon balance spring. The MT5621 is a certified chronometer. The Black Bay Bronze has two options with a brown leather strap, and the VERY slick looking NATO strap (our personal favorite). This gives you the ability to create either a formal feel or casual feel. Honestly, we love this watch. Tudor has been putting out some incredible watches lately. The Tudor Heritage Black Bay Bronze has a unique look and great quality, as well as a great price. One important note: The Bronze does NOT feel like a 43mm watch. It actually wears much smaller and is extremely comfortable for the size. If you are interested in purchasing your own Tudor Heritage Black Bay Bronze, give us a call or fill out the contact form below. Check out our Facebook page for box openings and watch reviews by our in-house watch expert Sergio Nuncio! Do you have any specific questions about this watch?